There are exhibitions for all industries or hobbies nowadays, so you are sure to find at least one that you want to attend. What better time to travel somewhere else in the country to attend a new or well-loved trade show. We have compiled a list of five of the expos taking place this summer, so hopefully, you will feel inspired to either attend as a visitor or even an exhibitor. This trade show is perfect for all enthusiasts of arts and crafts including dressmaking and paper crafting. This show offers a wide range of supplies, ideas and new innovative equipment to both the individuals who enjoy crafts as a hobby or the professionals. Not only are there going to be hundreds of exhibitors from industry experts to suppliers, but there will also be talks and demonstrations from some of the industries best, like Bex Raven who will be taking you through a history of Japan. This is not a trade show to be missed; it is sure to be a whole lot of fun as well as inspiring for all attendees. Don’t miss out on getting your tickets and maybe you will want to consider exhibiting there next year? The Outdoor Trade Show sees a whole range of industry specialists, leading brands and suppliers as well as buyers and retailers descend on Event City in Manchester for this three-day event. It is the perfect event for all things outdoors from clothing to equipment you will find it all here as well as being able to network with like-minded individuals and businesses. This is going to be the 13th year that the show has been running so you will not be disappointed by this well-established exhibition. There are lots of events and displays happening over the course of the three days from a party to the red devils display over the hall. If you don’t want to miss the Red Devils make sure to head over on Tuesday 3rd July! There is still time to buy tickets as a visitor; whether it is for fun or business, it will provide you with endless business connections and maybe even a stand for next year. This is the world’s largest ‘celebration’ of free-from food and drinks that are becoming an increasingly popular and in-demand market in the food industry. It is sure to bring new, innovative and exciting options for your free-from menus or supplies – the perfect event for anyone in the food or retail industry. This market has grown massively in the past few years, and it doesn’t look like it’s slowing down so make sure you are taking advantage of this niche market. There will be experts in their fields and the brains behind some of the biggest health and well-being charities with new innovative research and information into allergies and general health; they’re ready to share their knowledge and answer questions. It is the perfect event to meet new and interesting suppliers with something a little different which you could offer your customers. An added bonus of this event – free food samples! This is a luxury exhibition which is launching in the new location of the Olympia, London this August. There will be hundreds of global suppliers at this event, providing all of the luxurious products that you could wish for including private jets, holidays and technology. This is one of if not the most luxurious trade show that the UK has to offer. The show is set to be full of innovative, jaw-dropping products and experiences ready for you to try or learn more about. Whether you supply goods to the luxury market or want to learn more about what this clientele is looking for, this could be a great learning experience that we recommend. Who knows, you could walk away with a private jet! Exhibitions can be really useful is they are related to the industry that you’re in or even for a hobby that you have. Attending exhibitions is a great way to broaden your industry knowledge as well as network with like-minded business owners. 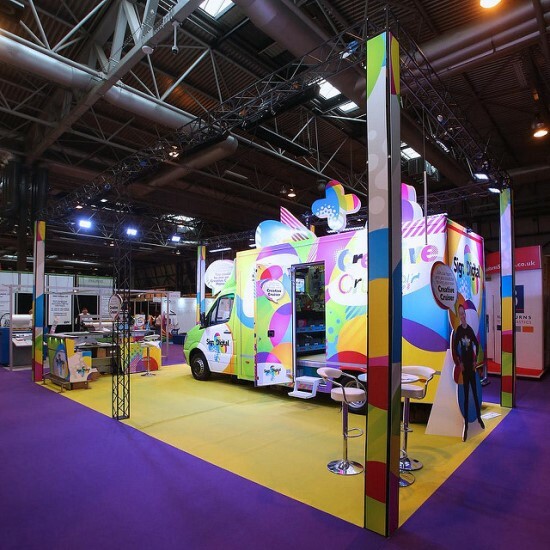 There are exhibitions for every industry and they are held all year long so it could be beneficial for your business to find an industry expo for you.